These super absorbent non scratch sponge scourers made from recycled foam, wipe and clean surfaces, wash up, mop up and scour – and they’re environmentally friendly too! Pack of 3. 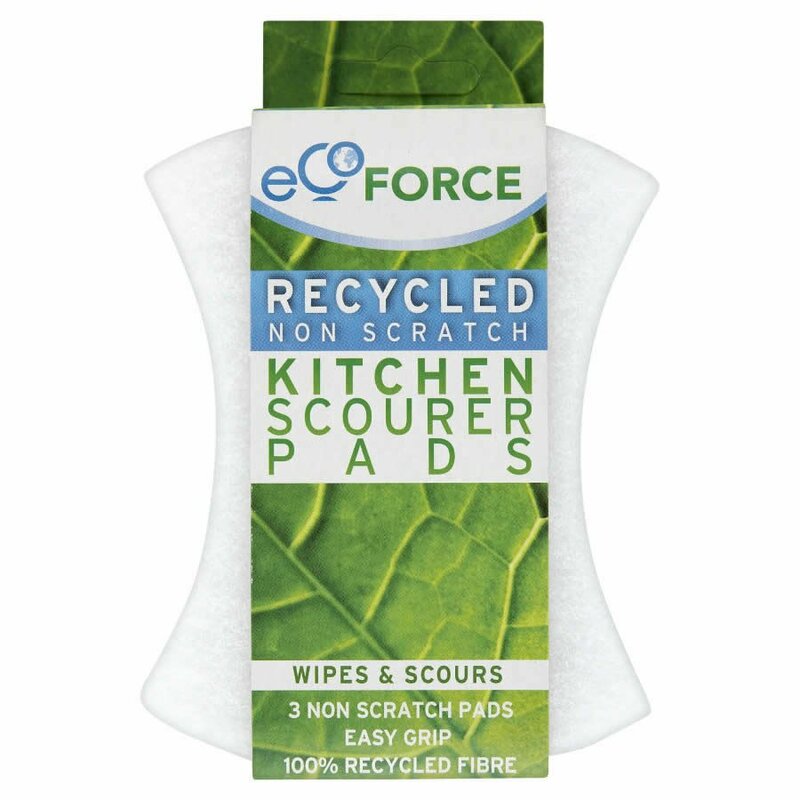 The EcoForce Recycled Scourers - Non Scratch - Pack of 3 product ethics are indicated below. To learn more about these product ethics and to see related products, follow the links below. Seem to be lasting well. There are currently no questions to display about EcoForce Recycled Scourers - Non Scratch - Pack of 3.